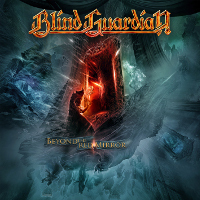 Index > News > Blind Guardian at museum! The correct term would rather Andreas Marschall at the museum because it's in a part of his exhibition "Mythen und Legenden - Das Artwork von Andreas Marschall" (Myths and Legends - Artwork by Andreas Marschall) that three album covers of the group will be exposed to the public. 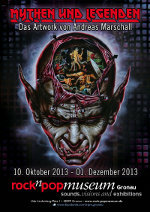 Hansi says about this exposition: "Images of world class!". Marschall says about himself: "I'm a director and painter with a penchant for the dark side of life.". 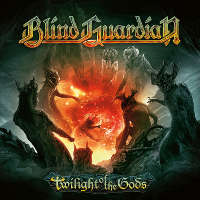 So the covers of Tales From The Twilight World, Somewhere Far Beyond and Imaginations From The Other Side will be on display from October 10 to December 1, 2013 at rock'n'popmuseum in Gronau. These will of course not the only works exposed because Andreas worked for lots of different groups such as Running Wild, Hammerfall, Grave Digger, Rage, etc ... For more information, visit the museum's website: rock'n'popmuseum. The other question that Marcus also hates is "Did you like the Lord of the Rings movies? ".